The free project summary template was designed for professionals who need to communicate project proposals, plans or reports to upper management, clients, or other non-technical audiences. 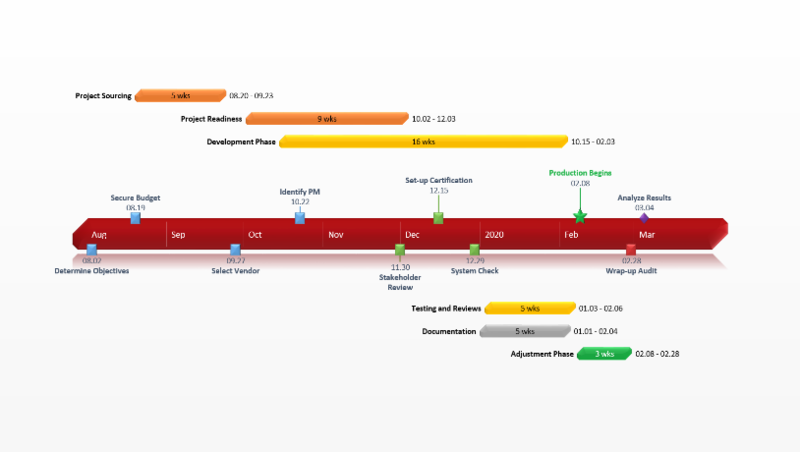 Built as a visual Gantt chart slide, the template quickly highlights the key points of a project and can be easily edited and included in PowerPoint presentations. A clear, eye-catching project summary can be a powerful tool for project managers to secure stakeholder buy-in or keep clients and execs up to date without overloading them with extensive technical details. 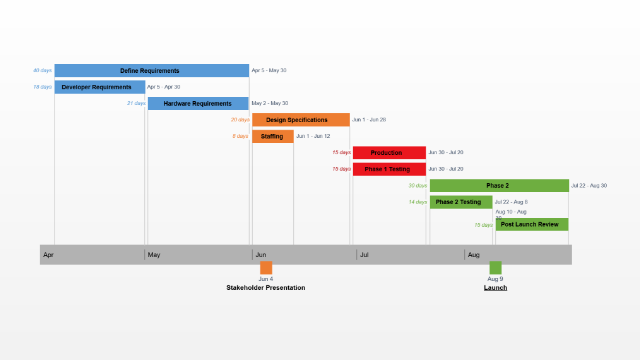 As high-level audiences need to make quick decisions, visual timelines or Gantt charts can help them absorb information more easily and get to the essence of the project at a glance. Keeping maximum 25 tasks or initiatives on the slide will ensure the resulting visual remains clear and easy to understand. Incorporating color codes can be a fast and simple way to add meaning and convey important messages without overcrowding the presentation with text. 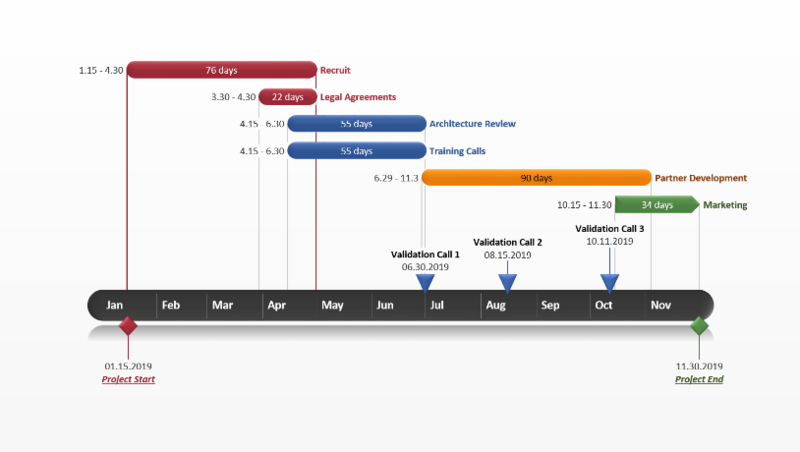 For instance, tasks can be color-coded to show status or priority, highlight the connection between similar initiatives, or illustrate hierarchies. Adding milestones and performance indicators such as percent complete will help the audience instantly get an accurate overview of the project, the direction it’s heading to, and the actions that need to be taken. The template can be edited with new data, colors, tasks, and milestones right from inside PowerPoint, either manually or using Office Timeline’s light project management add-in to automate the process. 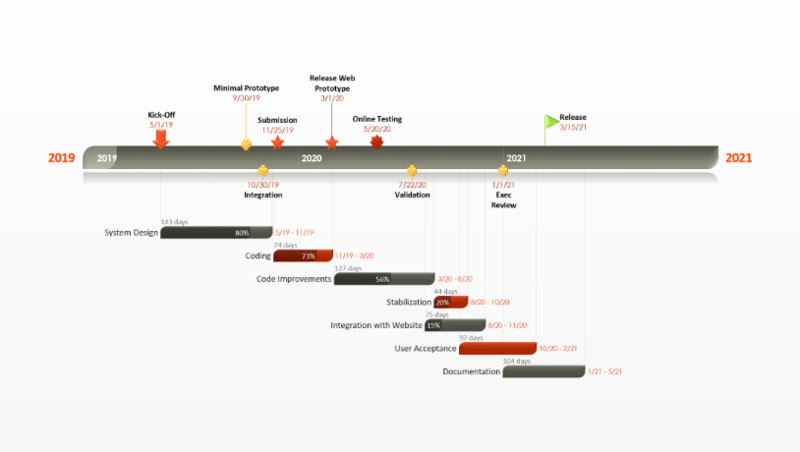 The plugin is an easy-to-use timeline maker that enables professionals to customize and update the graphic in minutes or create their own project visuals from scratch with just a few clicks. 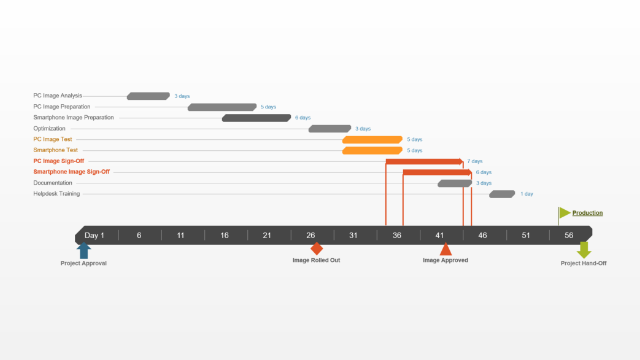 To save even more time building high-level presentations, project managers can use Office Timeline Plus to import data from Microsoft Project or Excel and instantly turn it into a summary slide like this template.